With professional experts, this is healthiest choice if you feel bed. As they says, feeling better starts at Guardian Pharmacy. They are on your service with regular and exclusive brands. You can search their digital patient health care system for be sure of their profession. Also for travelling they have special packs for you. For more, you can ask to your or their pharmacist. Its travel light by diem. Travel with piece of mind now. They also can help about, drug database, medical conditions, natural products, community support and common medication problems. Whatever you want to ask you can do it with community experts. Browse current Guardian Flyer ! 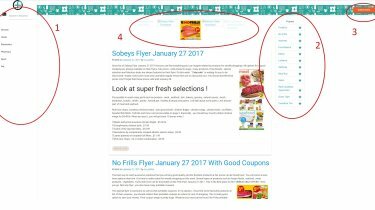 Guardian Flyer February 21 2017 including good deals , fair prices and special selections has been announced ! Many types of healthy products are regularly offered by them every week. You should always check their current flyer for more information and nearest pharmacy of you. Do not have enough time? No problem. You can easily manage your prescriptions wherever you are. You can buy a gift cart for yourself or your kids. It’s better than carrying cash money. Guardian Pharmacy is here to protect you against all disasters and viruses. You can also reach “DOLLAR DAYS” on last page of this flyer on this week. All products on this page are on discount now. If you are looking for some of them and you want to pay less money for them , you shouldn’t miss their competitive offers. Massaging gel , foot cream , vitamins , feminine wash , powder sachets , hand cream , shampoo , conditioner , tampons , liquid hand soap , mouthwash , dishwasher detergent and more are sale on this page. Let’s check it out and find your needs at lower prices thanks to them ! Today’s flyer on Guardian Flyer February 14 2017 has many deals on pharmacy, health products, shampoos, eye drops, cleaners and so on. With this flyer, you can feel better already ! Guardian is literary your guardian angel and got the best deals on such items. If you are looking for any Cough & Cold Syrup, toothpaste, pain caplets, nasal sprey or vitamins, you are in the right place ! In addition to all of this, there are many special products on Guardian just for Valentines Day such as heart shaped chocolates for your special one. You can also buy Valentine Toblerone Chocolate bar, Lowney Maraschino Cherries and Cinnamon Heart bags. Now lets see the best deals on this brand new flyer ! Best Deals on This Flyer ! As we said before, there are many items on discount and you have to check out this brand new flyer right now ! On Guardian flyer, not only health products and cleaners are on sale but there are also diapers, skin care products, deodorants, perfumes and pads. Now, lets see the best deals on this flyer right now ! As you can see, Guardian has everything you need for daily basis, health care or for your valentine. They literary has everything you might need. Just do not forget to check out for more deals and items and please subscribe our news teller for more deal alerts. See you on next time ! Good shopping !